Birthday Cake holds to its namesake a delectable sweet frosting smell with strong hints of citrus and a cannabis skunk twist at the end. This rolled up bud produces very smooth and sweet smoke along with an unforgettable taste of store bought lemon icing. 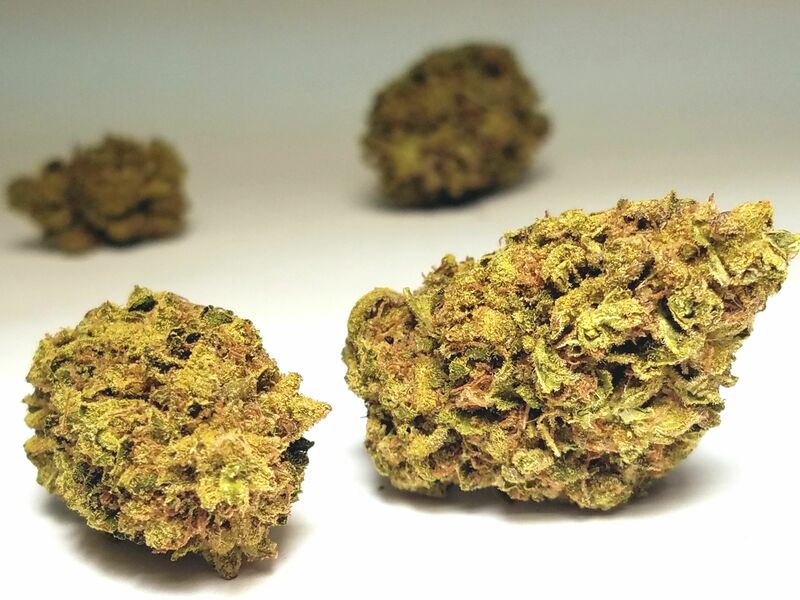 Although this strain is best loved for its flavor, the effects are just as enticing leaving users with a happy relaxing high that eases mental tightness and stress. Slowly it lulls you into a uplifted sedative state reminiscent of the Granddaddy purple lineage.